HEESEN’s new 70m (229’10”) flagship Galactica Super Nova is a yacht that needs no introduction for those following the industry. Known as “Project Kometa” while under construction the highly anticipated successor to Galactica Star made its debut at this year’s 26th annual Monaco Yacht Show. Since its launch it has joined the ranks as one of the top 100 largest superyachts in the world. 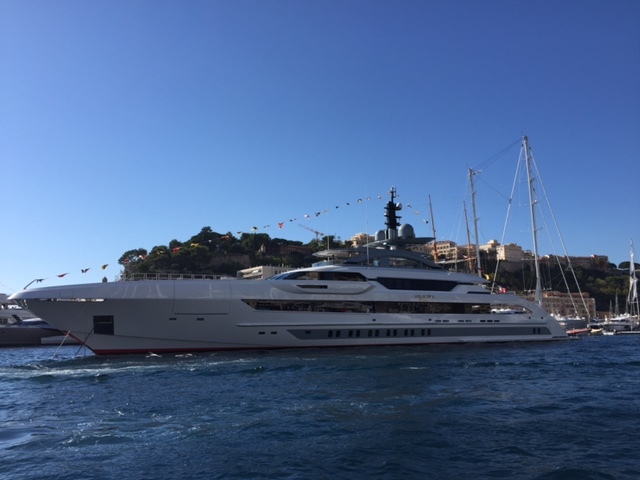 At the annual super yacht award gala on opening night of the Monaco Yacht Show Galactica Super Nova won best exterior design thanks to the beautiful lines penned by Espen Oeino and finest new superyacht of the 2016 show. 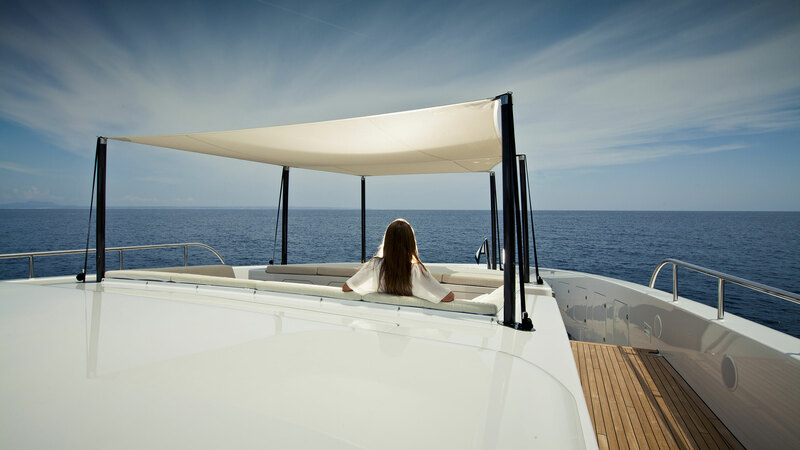 Van Oossanen & Associates is responsible for the naval architecture and the interior design is by Sinot Yacht Design. Galactica Super Nova is packed with innovation from the running gear to the waterfall and pool design. The fast displacement hull and superstructure are aluminum and contribute to the yacht’s ability to reach a maximum speed of 30 knots in under 75 seconds. 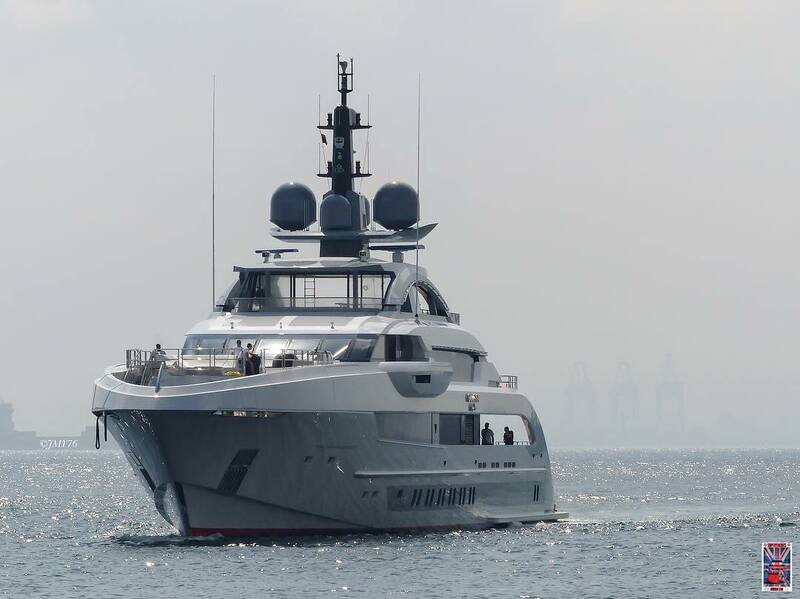 The immense speed is made possible by the aluminum structure coupled with an innovative propulsion system that includes two MTU diesel engines and a Rolls Royce water jet for a total power output in excess of 11,000 horsepower. Carrying more than 90,000L/19,700USG of fuel it has a cruising range of 4,000 miles at 14 knots. Freshwater capacity is 25,000L/5,499USG when the tanks are full. 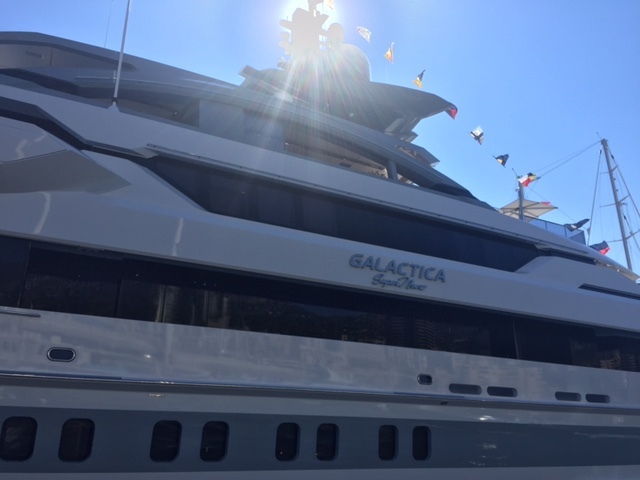 Galactica Super Nova’s four-deck layout includes comfortable accommodations for 12 guests in six staterooms as well as 16 crew members and with a beam of 39’ there is no shortage of space for all the amenities one could desire. An elevator, helicopter landing pad, beach club infinity swimming pool with contra-flow current, waterfall and glass bottom (to allow light into the beach club below), spa, extensive sunbathing area that converts into an al fresco cinema and tender garage are just a few of the features packed into the yacht. Of course zero speed stabilizers are included for enjoyment while lounging at the beach club on the hook in an exotic locale. With award winning design, an innovative propulsion package and best-in-class features Galactica Super Nova has yet again set a new standard for Heesen. With the recent sale of the 49m (163’) “Project Nova” hybrid yacht and completion of an 85m dry-dock there are undoubtedly more innovative and bigger builds on the horizon.